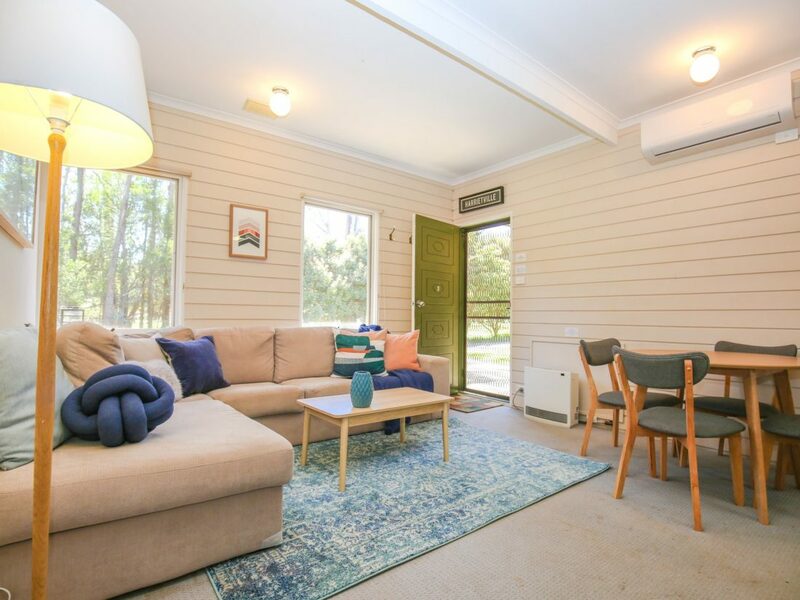 Enjoy a relaxed and affordable family getaway in this newly updated two bedroom holiday unit on the Ovens River. Boasting quality furnishings, a flat screen television and a well equipped kitchen, this stylish unit offers simple casual living with a touch of class. The two bedroom unit situated in a quiet, semi-residential complex on a peaceful and shallow part of the Ovens River and is a pleasant walk to hotels and cafes. The main bedroom features a new queen bed while the second has a bunk and single sleeping a family of five in comfort. The well equipped kitchenette has a stove and oven so whipping up a family meal is no problem and the kids will enjoy the new flat screen digital television, iPod dock and huge comfy leather lounge. Hylander holiday unit offers everything a family could need to enjoy some quality time in the Alpine High Country, including value.